I made this pizza again last night. I bought the ingredients a few days before, but then had to wait… and wait… for it to be cool enough to heat the oven at 450 degrees. 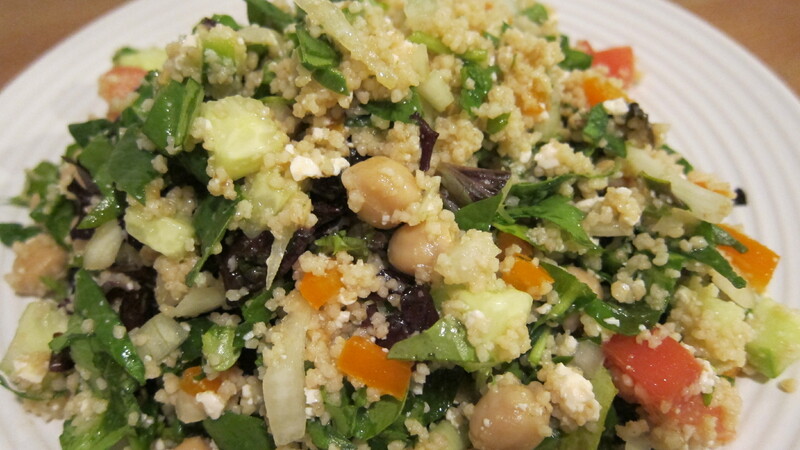 In the spirit of summer, avoiding the oven, and because I just took a fantastic blog class from them, I’d like to share one of my favorite salad recipes from the girls at We Are Not Martha. It’s cool… it’s refreshing… it’s got veggies… it’s got carbs… it’s got protein… what more could you want?! Mix all of the ingredients together in a very large bowl. That’s it! I prefer mine to be chilled for an hour but it tastes great as is too.